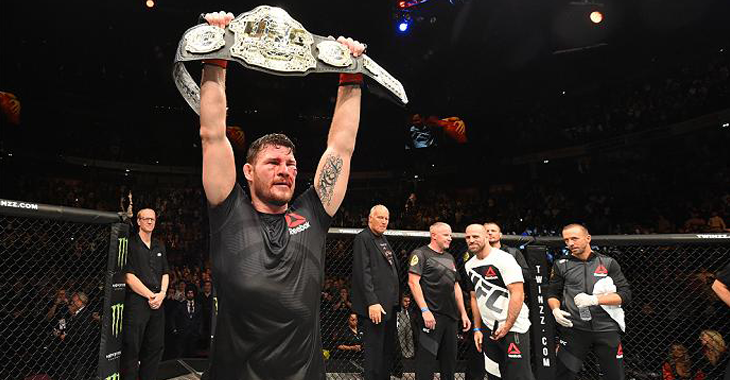 Later this year, at a to-be-determined date, UFC middleweight champion Michael Bisping will defend his title. 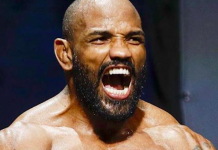 He will not, however, defend that title against Yoel Romero, Ronaldo “Jacare” Souza, Luke Rockhold, Chris Weidman, Gegard Mousasi, Robert Whittaker, or any other member of the middleweight top-10. Instead, he’ll defend it against former welterweight champ Georges St-Pierre, who will be returning from a hiatus of several years. 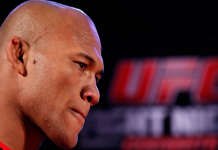 While the announcement of this fight generated excitement among some fans, it also generated plenty of backlash, as it deprives the middleweight division’s top contenders – namely Yoel Romero – of the title shots they’ve earned. Bisping, however, is not all that sympathetic. 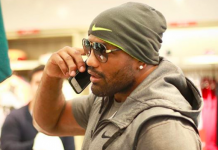 On a recent episode of UFC Tonight, the champ explained his choice to fight Georges St-Pierre over Yoel Romero. His words (via FoxSports). Needless to say, Michael Bisping is standing by his choice to defend the title against Georges St-Pierre rather than Yoel Romero. Who do you think wins this newly announced middleweight title fight? Does Bisping defend the throne, or does St-Pierre become one of just four fighters in UFC history to hold titles in two divisions? Sound off, PENN Nation!